This weeks featured blogger is Kate from Femme Fiction Freak, a new blogger from Victoria! I’ve just started my blog, so only a few weeks, but I plan to focus on strong female characters in YA. At the moment it’s only reviews, but when it gets up and running, I would like to do theme weeks, like maybe best supporting male character. Science Fiction, Fantasy, Dystopia, Romance, Mystery & Thriller. 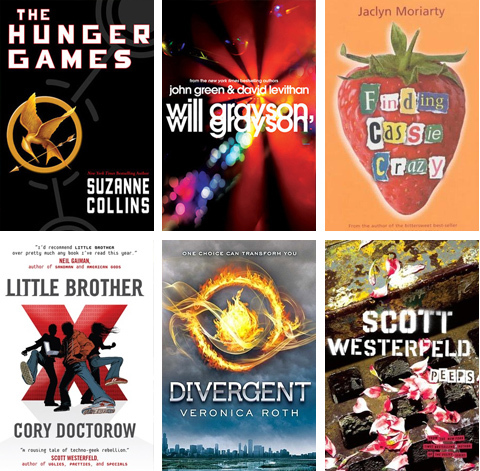 I love John Green, Maureen Johnson, Barry Lyga, Stephanie Perkins, Scott Westerfeld, Rebecca Stead, Cory Doctorow, Jaclyn Moriarty, the Divergent and Hunger Games series, and many others!